Suction cup with side pilot hole. Suction cup with side pilot hole. 63mm diameter. 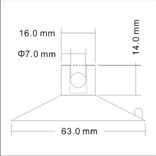 The super strong suction cups tools are the main tool which is used in all industrial areas. For these reasons, many companies are introducing the suction cups. 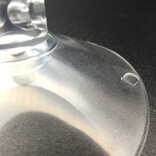 What are suction cups 63BH? This super strong suction cup is one among the cups in the sucker tool. High quality tools are used in this cup. The hooks are used to fix products firmly to the surfaces. People can get this hook and super strong suction cup easily from Kingfar solution. And it will not cost high. 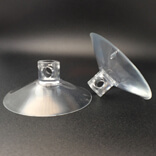 The super strong suction cups are widely used by people. This is the reason that, it is used to introduce for various needs. Here, we are going to discuss about the super strong suction cups 63BH. 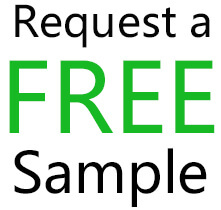 Since, the features of every product will be varied. 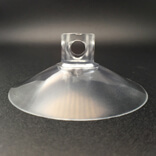 The super strong suction cups which has the diameter of 63mm. The plastic material is used in the ring portion. The holes will be available in the suction cups. The hooks are enclosed within the suction cups. It is easy to portable. Fix easily at any place. The super strong suction cups can be more in ranges. But every product will have some description. Here, the super strong suction cups 63BH will be used to hold the cups in crucial place. 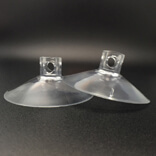 The suction cups which are used in different areas. The large suction hooks are most probably used on the smooth surfaces. The hooks should be tight and strong. Only then it can be fixed properly on any places. Some people will be used to fix the suction cups on the wall purposes. It is also used to attach on the rooms such as bedroom, living room, kitchen and bathroom and so on. According to the needs, the user can buy the product. All of these suction hooks are available at KingFar, and by shopping with us, you can ensure a quality experience.